While having a roof over our heads is a basic necessity, that doesn’t mean it can’t also be beautiful. Roofs will always need to be leak-proof, sturdy, and lined with a gutter system, however, these famous buildings take roofing design to a whole other level. 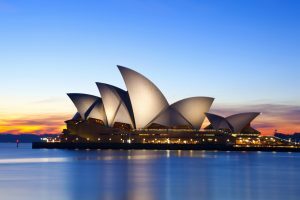 The Sydney Opera House is known as one of the greatest architectural works of the 20th century. The curvaceous, shell-like design of this roof is what makes this building so unique and iconic. Each of the ‘shells’ are precast concrete panels, covered by over one million glossy, white and matte tiles. 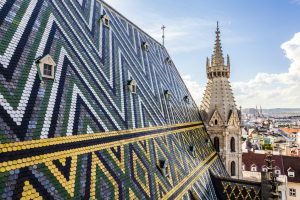 This roof is covered by 230,000 multicolored, glazed tiles. In addition to the geometric patterns, these tiles also form images, including a coat of arms and a two-headed eagle. And because the roof is so steep, it only needs rainwater to wash it clean. 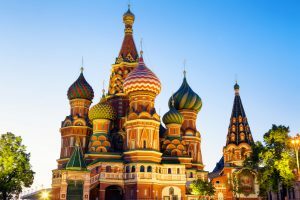 St. Basil’s Cathedral, also known as Pokrovsky Cathedral, has had several makeovers over the years. But since 1947, this famous landmark has remained the same – featuring eight domed spires, designed with colorful hues and intricate patterns. 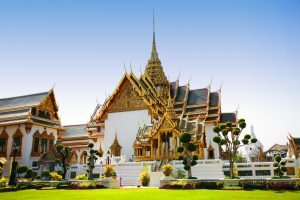 Spanning over 200,000 square meters, The Grand Palace is clearly not known for its modesty. One of the most famous elements is the roof of the throne hall (also known as The ‘Golden Roof’). Each tile is filled with symbolism from Thai culture and history. This architectural wonder sets itself apart with its ‘green’ rooftop. 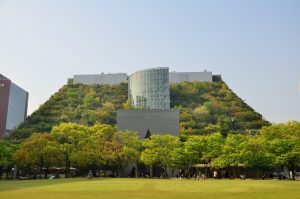 The green-terraced roof can be explored like a park with walking paths, gardens, and reflection pools.